ProFill Tower is a High Flow chemical dispensing system that mixed constantly and automatically the right amount of chemical to refill your Scrubber Dryer Machine. With a connection direct to the water source, it provides a gravity fed solution where no electric power or compressed air needed. It has a reduced maintenance requirement thanks to the blue venturi insert which avoids having to disassembled whole system. 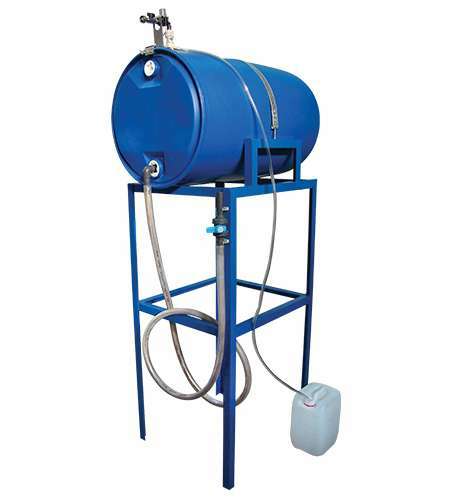 It offers a smart solution to refill scrubber dryer machines thanks to the plastic ball valve and the 2" discharge hose supported by 15 different dilutions can be easily chosen, using the colour coded tips.